Kerry says that this challenge comes with a wide angle and any filter of our choosing. She also says that the image puts her in mind of Hedgewitch’s Fibonacci Challenge of August 24, 2015, if we’d like to give it a try. Posted in Poems. Tagged Camera FLASH!, Edward Weston, Ekphrastic poetry, Fibonacci, Imaginary Garden with Real Toads, Poetry Pantry, Poets United, Shell, Weekend Mini Challenge. I’m so glad you went with the Fibonacci.. I especially love the final syllable.. a sound of wonder. I totally agree with Bjorn about the math involved in both the shell and the poem. 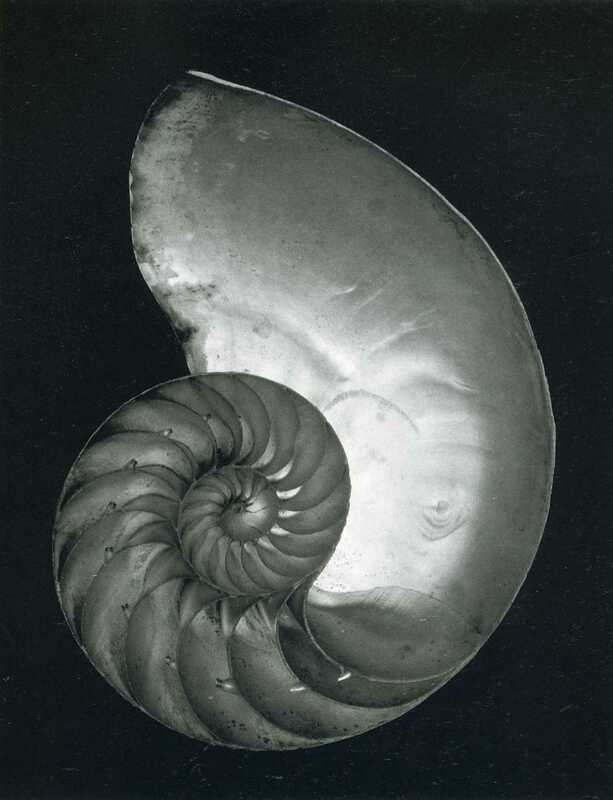 A very stupendous work – poem and shell. A perfect wee poem, and I’ll confess, as a mother with kids who’ve had cochlear implants, my mind went to the ear, too. Beautiful – and so clever! Poetry is all wed to the sound of sight, or vice versa — a wonderful visual weave through a sound, ending with a perfect line brake — what does resound when a wave breaks but a dimming O? into the sea’s ear… love that! You have given the shell depth and a unique perspective! Really clever going with the Fibonacci form! It flows in and out like the tide. I loved this bit: “a vertiginous seduction/into the sea’s ear”. Such an entrancing verse. This is so well done. Nice, nice! Just love the fibonacci. Well done! is an indelible line, I think – stunning, really. I love everything about this little poem! A perfect Fib curling inward to the knot of shell. Beautiful, Kim! really, a great form to go with the photo prompt. just word perfect and the play at the end is elegant, stunning and visually (as well as orally) amazing Kim! Lovely! The sea’s ear and the O!